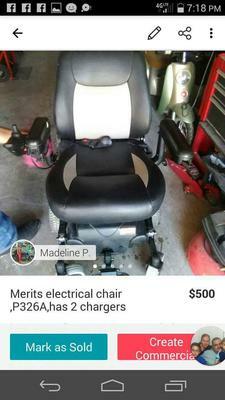 The used electric scooter chair for sale is a Merits p326A mobility scooter that was only in service for a couple of months. 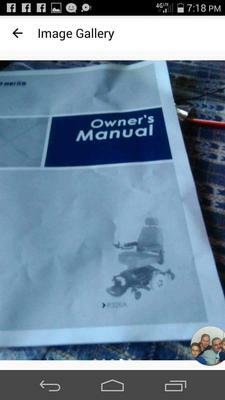 It has been left sitting idle for eight (8) months. This is a very nice scooter that works great, looks great and it was expensive! I paid a couple of grand for it when it was purchased. and then you have any questions regarding the Merit brand electric wheelchair for sale or if you would like to make an appointment to see it in person, let me know! The scooter is top of the line and costs a lot more if you buy it new. The Electric Scooter Chair for Sale is in Carson City NV Nevada and I am asking $500 OBO but that price does not include shipping fees. If you are interested or have questions send me a message using the contact form below provided by GoGoCycles Used Motorcycles for Sale.